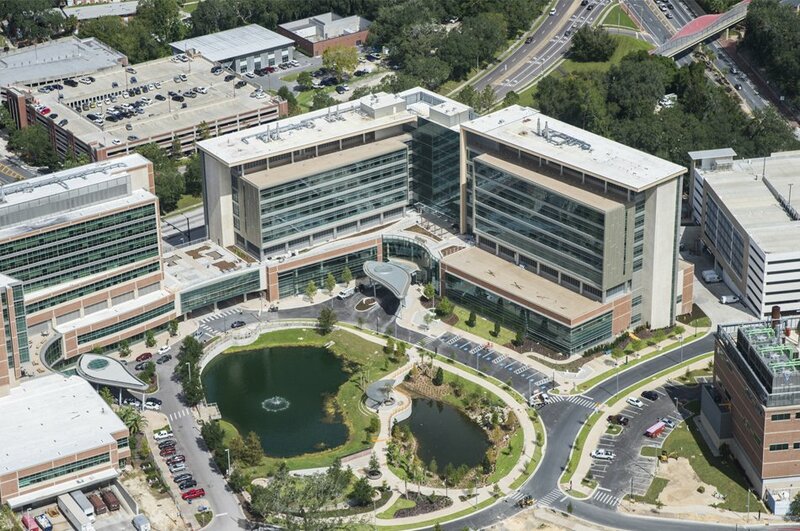 The UF Health Heart & Vascular Hospital and Neuromedicine Hospital is located on a 16-acre site bounded by Archer Road, SW 13th Street and SW 16th Avenue. Site improvements include a parking garage, Energy Center expansion, site circulation and hardscape, stormwater, and complete on-site utilities. Offsite design includes roadway improvements to SW 13th Street from Archer Road to SW 16th Avenue. Offsite improvements will also include roadway reconstruction sidewalks, drainage, and utilities. CHW is providing land surveyor and mapping, civil engineering, landscape architecture, land planning, urban design, and construction engineering inspection services.